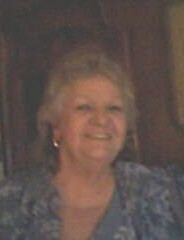 Ms. Maria Therisa Tauzin, age 76 of Waco, passed away on Friday, March 22, 2019. She was born in Louisiana on October 11, 1942. She is survived by her partner Glenda Cardin of Waco; two daughters, Glenda Elaine Cardin of Mt. Zion and Alicia Cardin Huckeba (Kyle) of Roopville; two sons, Michael Lee Cardin of Waco, Devarick Harris of Jacksonville, FL and several other friends and relatives. In keeping with Ms. Tauzin’s wishes she will be cremated.